Is Chocolate Safe for Dairy and Other Allergies? 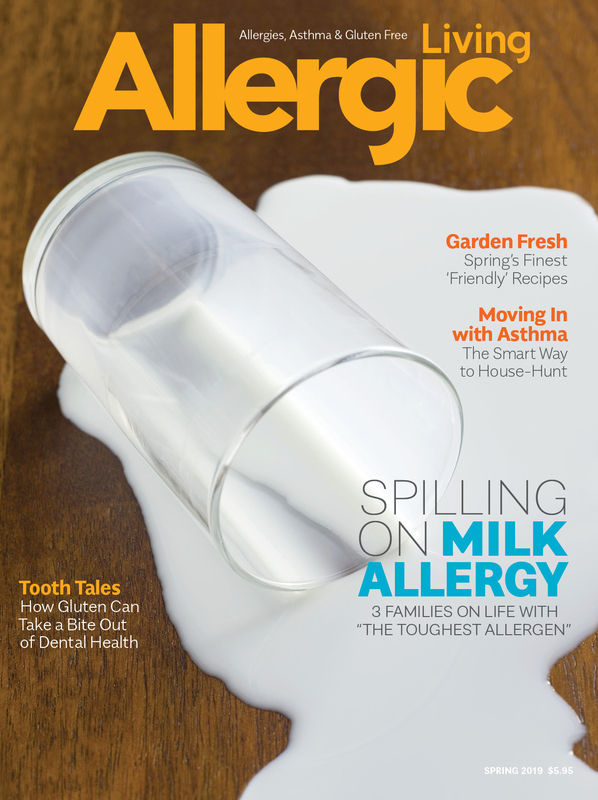 Contrary to popular belief, pure chocolate is actually a dairy-free, top allergen-free food. To make it, cacao beans are roasted, ground, and melted into chocolate liquor (which despite the name, does not contain alcohol). Sometimes the liquor is further processed to make cocoa solids and cocoa butter (sometimes called cacao butter), both of which are naturally free of dairy and all top allergens. Unsweetened chocolate typically has no other ingredients added, while dark and semi-sweet chocolate are usually sweetened with sugar. 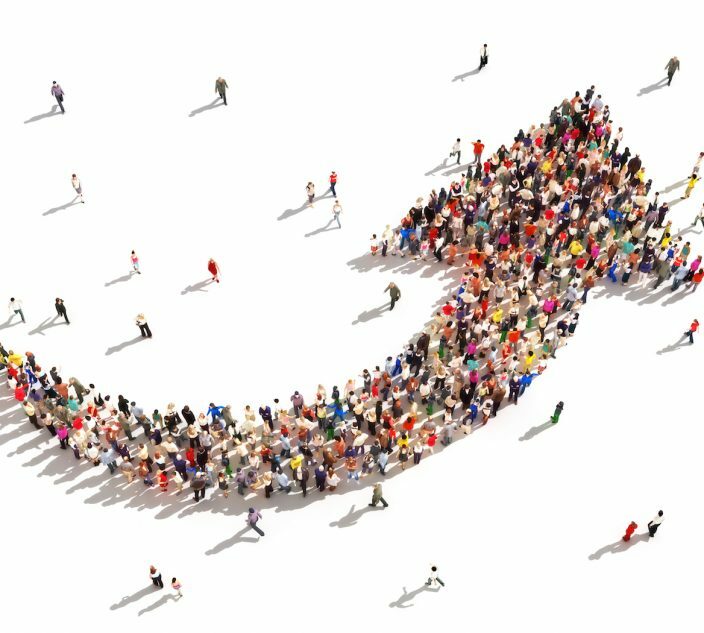 Even if a particular chocolate doesn’t contain any top allergens in the ingredients, chocolate tends to have a higher than average rate for allergen cross-contamination in manufacturing. For example, pure dark chocolate may be run on a line immediately following a milk chocolate batch with nuts. 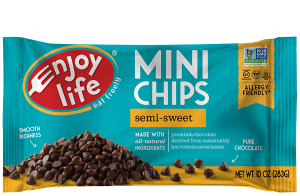 Before letting your holiday cookie creativity run wild, you’ll want to stock up on Enjoy Life Foods’ mini chocolate chips, mega chocolate chunks and dark chocolate morsels. Free of gluten and the 14 common allergens, this smooth chocolate makes allergy-friendly treats perfect for cookie swaps, bake sales and potlucks. Available at major U.S. retailers such as Whole Foods. In Canada, at Metro and Loblaws. Also via Shop.enjoylifefoods.com. 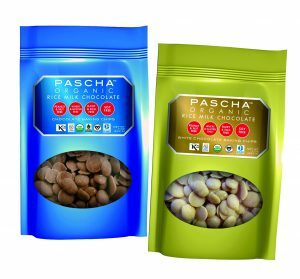 Ensure all of your holiday desserts are covered with the Rice Milk and White Rice Milk Chocolate Baking Chips from Pascha. Each morsel is certified organic and gluten-free for recreating beloved bark, truffle and cookie traditions. Available at major U.S. retailers such as Walmart and Paschachocolate.com. 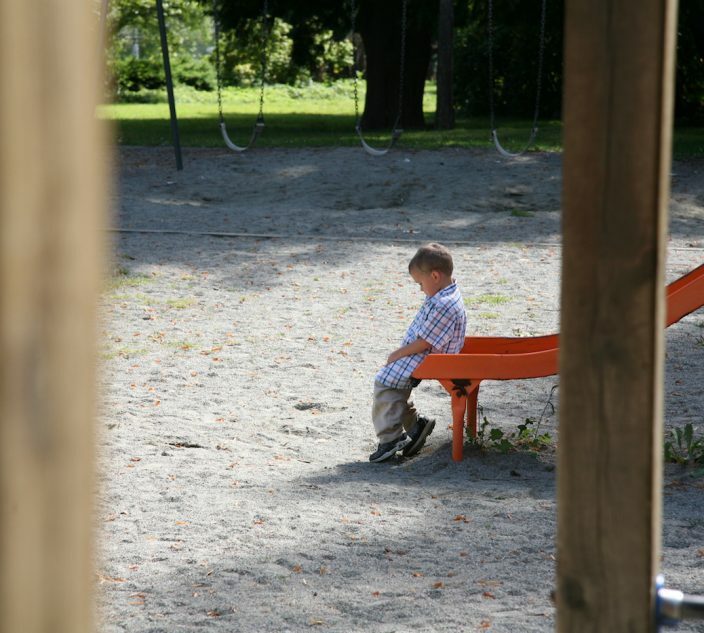 In Canada, at Vitacost.com. 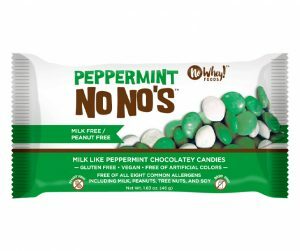 Decorate your gingerbread house to the nines with vegan, all natural and top-allergen-free candies and chocolate from No Whey! Foods. With classic and new Peppermint No No’s, Milkless Figurines and Candy Canes, you’ll have the most festive, and most allergy-friendly, cookie house on the block. 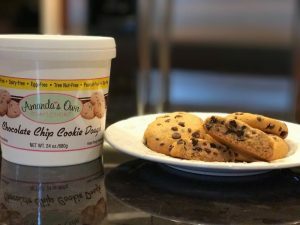 The Chocolate Chip and Double Chocolate Chocolate Chip Cookie Dough from Amanda’s Own are made with a mother’s love and her top allergen-free, gluten-free recipe. The tubs can be shipped right to your door for a delicious care package of thick and chewy oven-ready cookies. 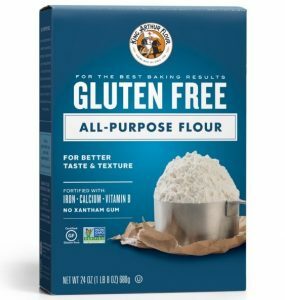 You’ll be rolling in dough with the King Arthur Gluten Free Pie Crust Mix. The certified gluten-free blend ensures winning results with flaky, golden shells for your favorite fillings. Allergy-friendly directions are included. Skip the gums and starches. 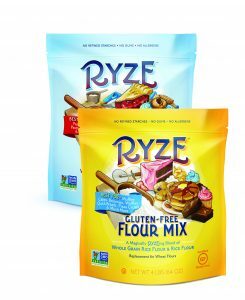 Ryze Gluten-Free Flour Mixes provide a cup-for-cup substitute for wheat flour with just two ingredients: brown and white rice flours. Grab the blue bag for delicate pastries or the yellow one for cakes and heartier recipes. Both use a uniquely milled blend created by the largest rice flour milling company in the world. Are visions of lofty cakes, fudgy brownies and other holiday indulgences dancing in your head? Then it’s time to tackle some major baking projects armed with the perfect arsenal of allergy-friendly ingredients. 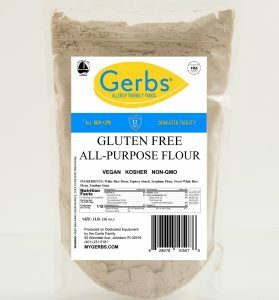 Free from the top 12 allergens, non-GMO and all-natural, Gerbs’ Gluten Free All Purpose Flour and Natural Cocoa Powder are just what you need to inspire oohs and aahs all around. 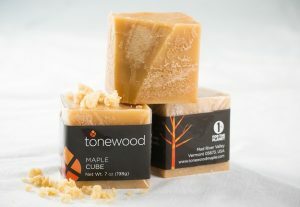 Tap into a tasty new trend with Tonewood Maple Cubes. The blocks are made purely from the sugary sap of Vermont trees, and come in Golden Delicate or Dark Robust varieties. Shavings can be sprinkled on everything from ice cream to oatmeal for a naturally delicious finish. A La Mode dairy ice cream is more than a topping. Each hand-crafted pint is made in their nut-, egg- and sesame-free facility and loaded with indulgent ingredients. The artisanal flavors include classic Chocolate and Vanilla, plus party-ready Speed Bump, Pink Sprinkles, Partly Cloudy, Wired (Coffee Chip), and new Cooks (cookie and fudge-spiked vanilla).